Injection for Cattle and Sheep containing 10 mg/ml ivermectin. 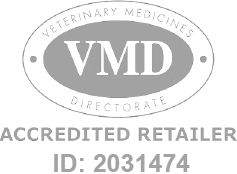 Ivomec Classic Inj - 200ml is a Prescription Only Veterinary Medicine and by law requires a prescription from your vet. Ivomec is indicated for the effective treatment and control of roundworms, lungworms and eyeworms when given at the recommended dosage level of 200 mcg ivermectin per kg bodyweight to sheep and cattle.